My Grandpa passed away last night in his sleep. He lived a good long life. 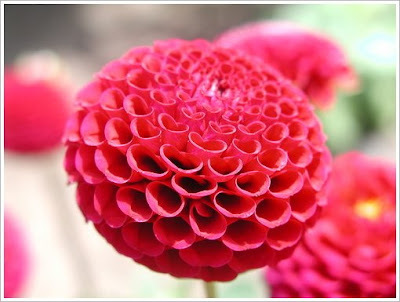 He had a passion for gardening and had a beautiful dahlia garden. He loved his family, his kids, and his grand kids. He was so incredibly funny, even towards the end when he was in so much pain, he still joked around. One thing I remember about him is that every year at Christmas he always put up outdoor lights. All over the house and in the trees. Over the years as he got older, he would just put them in the trees where he didn't have to climb on a ladder, but he always put them out. He did this for all the kids. We spent our summers growing up going swimming in his pool. It was always a treat to visit him. I saw him a couple days ago and as I left I thought to myself that that might be the last time I would see him. I am sad to say it was. I'll miss him so much. He was a great man who filled many lives with happiness. I am so sorry! He sounds like an amazing man and you were blessed to have him in your life. Hang in there. My deepest sympathies for your loss. My thoughts and prayers are for you and you family at this difficult time!! Lovely post for a precious soul! I'm sorry. It's not going to be easy but as you said, he lived a long life. He'll be looking out for you and your family. What a beautiful tribute you have made to him and I'm sure he must have been so proud of you. It sounds like he had a wonderful life and you have such wonderful memories of happy times together. You are in my thoughts and prayers. You are lucky to have had such a special connection to your grandfather. It is clear that he was a very special man. So sorry to hear about your loss. Just remember all the good times you all had with him. Praying for comfort, peace and joy in the midst of sorrow for you and your family. Sounds like he was a picture-perfect grandpa. I'm so sorry for your loss. Losing my grandfather too soon I know exactly what you're going through. Just know he will always be with you in spirit. Grandpa's hold a very dear and special place in ours hearts. My Pop Pop passed away many years ago and I still think of him often. I am so sorry for your loss, but know he will always live on in your heart. I feel like simply saying I'm sorry doesn't mean much. I am sorry for your loss, though. It is never easy to lose someone you love, especially someone who has meant so much to us. I am sending up prayers for the comfort of you and your family. My heart goes out to you and your family. I am sorry for your loss. I am so sorry to hear about your Grandpa. I'm glad you got to see him not long ago though, and he is leaving your heart full of good memories, you will be able to pass on. Grace and peace to you during htis time. I am so sorry to hear this! He sounds JUST like my grampy and it brought tears to my eyes reading it! The christmas lights especially! You are blessed with a new angel today! My deepest sympathies. Sending prayers up for you and your family. I'm very sorry for your loss..but very happy you were blessed with such a wonderful grandpa. Take care and God bless, our prayers are with you and your family. I don't comment often but just wanted to say how sorry I am for your family. I am sorry for you loss. It is always hard to lose such an important person. It sounds as though you have a lifetime of wonderful memories with your precious Grandpa. I pray they will sustain you when the grief is sometimes difficult to bear. Praying for you and your family at this time. I am so sorry for your loss. There is something so special about a girl and her granddaddy. My thoughts and prayers are with you! 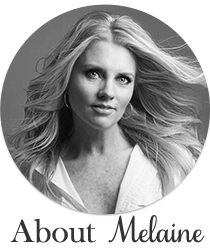 So very sorry for your loss Melaine. I will keep you and your family in my prayers. I am so sorry for your loss. Thank you for sharing your post. It was a wonderful tribute to your grandfather. Your wonderful memories will keep your grandpa with your forever. May the joy of his life come to outweigh the pain of losing him. Blessings to your family. I'm so sorry for your loss. It's never easy. When my grandmother died, a man approached my dad with heartfelt condolences and then offered a sincere, "I envy you." Puzzled, my dad asked why???? "Because I lost my mother at a very young age and didn't have the life you did." As shocking as his initial words were, he was right. We are lucky to have them for so long. My deepest sympathy for your loss! May the beautiful memories you have of him help you in this difficult time. I am sorry. What wonderful memories you have of your grandpa. I hope you find comfort with your family and friends. I'm so very sorry to hear about that. I'll pray for you and your family. I'm so very sorry Melaine. Grandpas are very special. I'm so glad you have wonderful memories to carry you thru. I am so sorry for your loss. May your wonderful memories comfort you in this sad time. My prayers are with your family. Remember to take care of yourself. My thoughts and prayers go out to you during this difficult time. Your wonderful memories will keep him alive in your heart forever. I am so sorry for your loss! I will keep your family in my prayers! I'm so sorry to hear about your Grandfather. Your grandpa sounds like an incredibly wonderful man. I know you will miss him deeply. I'm so sorry for your loss...there is never a good time to say good-bye. Oh Melaine ... My heart and thoughts are with you and your family during this difficult time. My sympathies to you and your family. Your memories of him are beautiful, keep them close always. Peace be with you. I am sorry to hear of your Grandpa. Your memories are beautiful- you will treasure them. A hug from Michigan. I'm so sorry for your loss. He sounds like a wonderful man who gave so much to others. So sorry for your loss. Your Grandpa sounded very special. I am so sorry! It sounds like you have so many amazing memories of an incredible man! He will be missed. I am so sorry about your Grandpa. I love that you have such happy memories of what a loving, funny man he was - hold those close. He sounds like a great guy. I dread the day when my girls lose their Poppy. So sorry for your loss. I miss my grandpa all the time. He was such a funny person and had lived such a rich life. So many things I'd love to ask him about now but I don't have the opportunity. If only my future children would have been able to meet him. What a wonderful man he was. God bless you and your family during your time of loss. So sad. I hope you find solace as you embrace the memories. I'm so sorry for your loss Melaine. I know how it feels to lose a grandpa that meant so much. Mine was more like a father to me than anything else and I lost him at 16 to Parkinsons and Alzheimers. My heart goes out to you and your family. I was very young (18/19)when I lost my precious grandparents and still miss them all these years later. I am so sorry for your loss. Sounds like a beautiful life, lived fully.. It is so hard to let them go. My last grandparent passed away and it is so strange to think of not having any of them around any more.